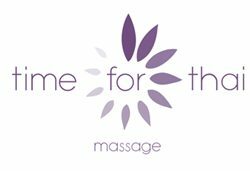 My name is Julia Hart, and I set up Time For Thai in Brighton in February 2009, having first trained in Thai massage in Thailand, England and India 2006-2007. I have specialised in clinical treatments using Thai acupressure since 2014. By adapting the treatment to specific muscular and joint problems, and gently encouraging healing to take place, I regularly succeed in alleviating even chronic symptoms. Because Thai massage works on the muscles and fascia surrounding the bones, removing tension in this soft tissue in turn helps the body to regain optimal patterns of movement. I am a qualified Sivananda yoga therapist, and bring this into my treatments, advising you on follow up stretches and posture maintenance. Find out more and book a treatment.